In recognition that voluntary organisations & clubs can get so caught up focusing on the job in hand that sometimes the hard work and achievements of their wonderful volunteers go uncelebrated, Celbridge Community Council, with the support of Kildare County Council and our partner The Mill Community Centre, hosted a Volunteer Appreciation Evening in September 2018 that was open to all local clubs, groups, organisations and individuals involved in any form of volunteering in the Celbridge area. 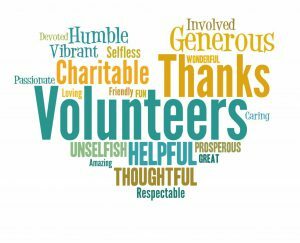 The Volunteer Appreciation Evening Volunteering celebrated the important part that volunteering plays in our society and the huge benefits that communities realise from the selfless work carried out by voluntary organisation & clubs. This free night consisted of a catered BBQ, a motivational guest speaker, a short presentation to each group in attendance and was rounded off with some live entertainment and informal networking. It was a light-hearted and fun social gathering to say THANK YOU to each and every one of Celbridge’s volunteers! All in attendance were in agreement that a great night was had.